. 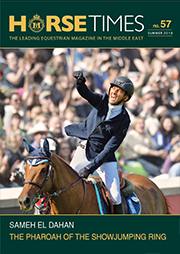 :: SERGIO ALVAREZ MOYA RIDING CHARMEUR TRIUMPHS IN THRILLING ROLEX GRAND PRIX AT THE WINTER EQUESTRIAN FESTIVAL ::. 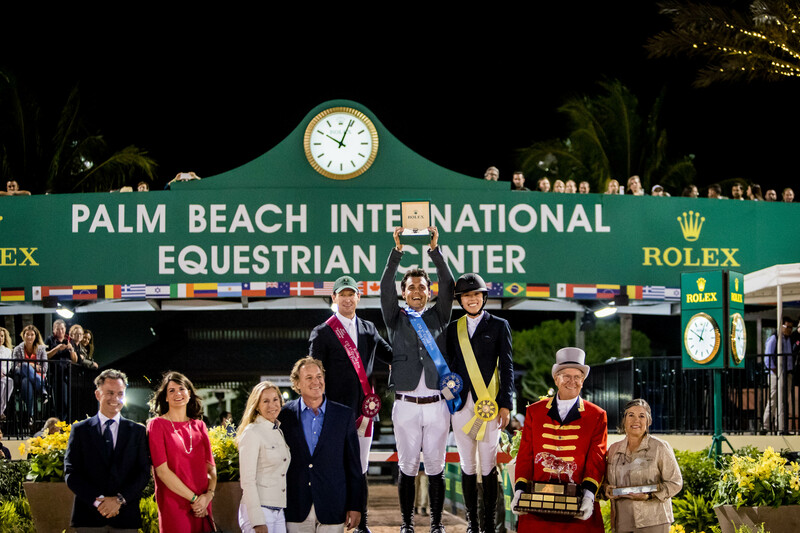 25 March 2017, Wellington, USA – Spain’s Sergio Alvarez Moya riding Charmeur took title place on the podium this evening in the Rolex Grand Prix, the highlight of the Winter Equestrian Festival (WEF). 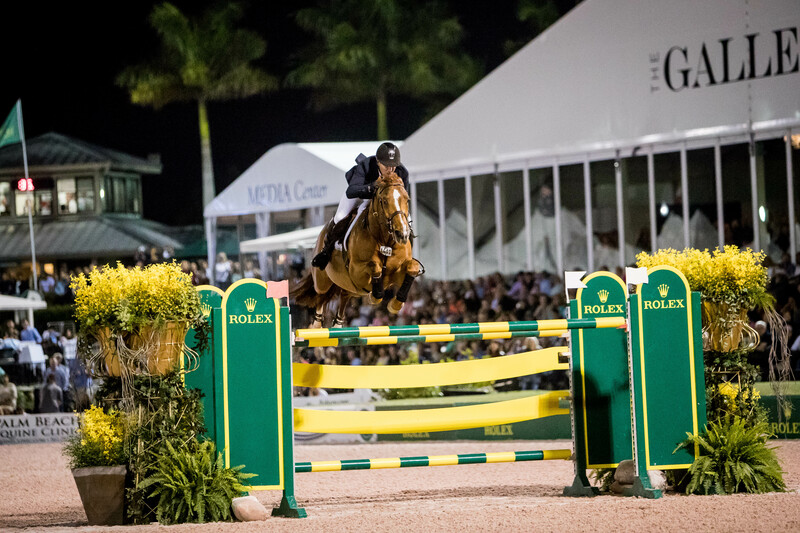 After a sun-drenched day and spectacular sunset, the bright lights of the arena were illuminated, ready to welcome 40 of the world’s best horse and rider combinations, from 17 nations, to contend for one of the world’s toughest 5* Grand Prix. 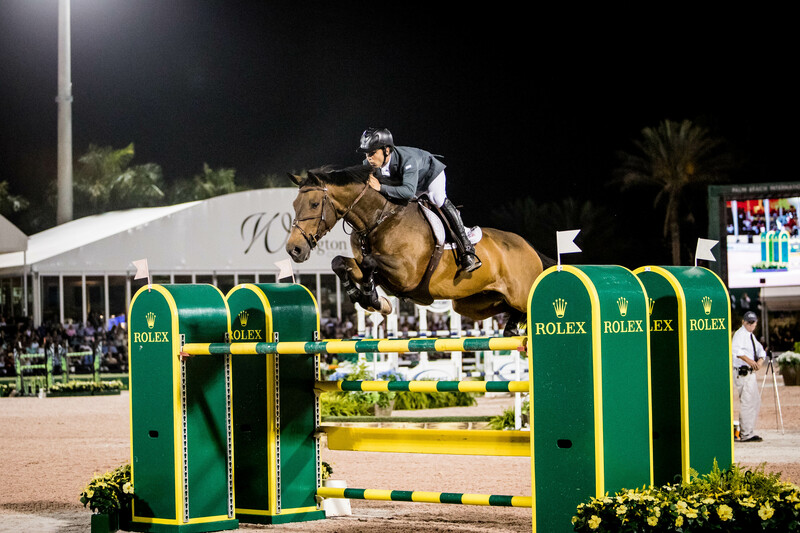 The passionate crowd were treated to a typically demanding course set by the world-famous course designer, Guilherme Jorge. The technicality of the course proved too much for many of the elite riders. From the first 20 combinations to go, there was only one clear round to count for, and in total, only five riders proceeded through to the jump-off. The WEF is unique in its nature, with 12 weeks of competition focused entirely on equestrian sport. The three-month spectacle in horse sport attracts many of show jumping’s elite riders, who are seeking winter sun and unprecedented outdoor equine facilities, as the first quarter of the European show jumping circuit continues indoors. 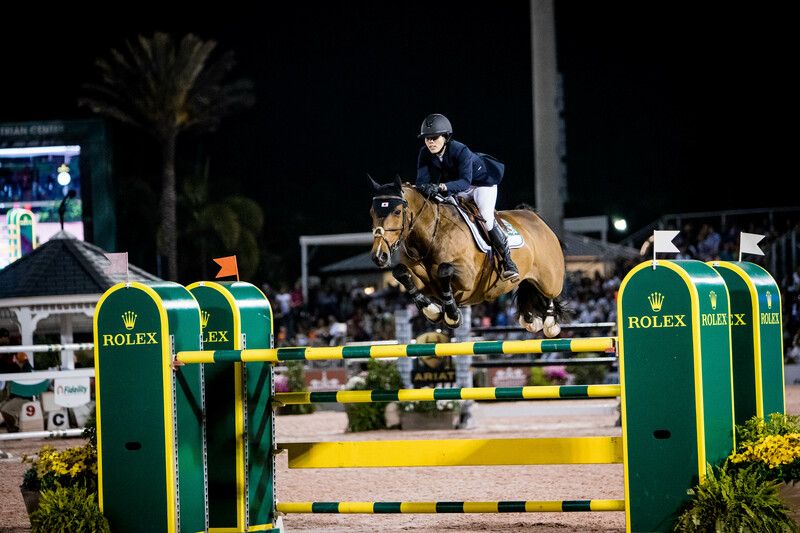 A total of 6,000 horses and 2,000 riders from across 30 countries base themselves in Palm Beach from January until April, to educate their younger rides and to prepare their top horses for the first Rolex Grand Prix of the year at WEF. 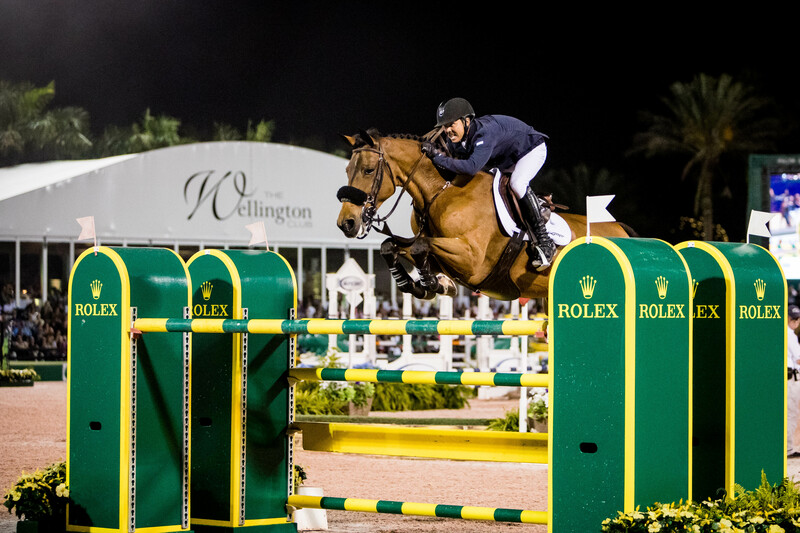 In 2014 Rolex enhanced its position in the world of show jumping and with the Winter Equestrian Festival, by signing a long-term agreement to become the Official Timepiece of both the Palm Beach International Equestrian Centre and the WEF.